* Bryce Soderberg was born in Victoria, British Columbia, and raised just outside Victoria in the Municipality of Sooke. He started playing bass at a young age and developed his musicianship mostly in his basement with his two brothers and their band. He graduated from St. Michaels University School then after attending two years of College in Quebec, Canada, he moved to Los Angeles, California when he was 19 to pursue a professional career in music. In 2002, he joined Elektra recording artists AM Radio, under the management of Rivers Cuomo. After Elektra Records folded, AM Radio disbanded. During this time, as a vocalist/songwriter he performed with The Celebrities, and Tomorrow And Everyday After. 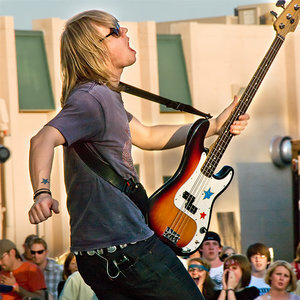 In August 2004, Soderberg joined Lifehouse after a recommendation from former member Sean Woolstenhulme.